Jorge De La Rosa in 2018 with the Chicago Cubs. Credit: USA TODAY Sports. 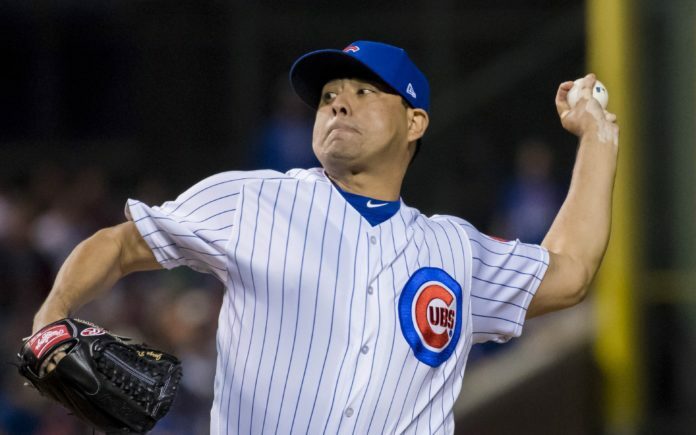 The Colorado Rockies have signed Jorge De La Rosa to a minor league contract, according to Sage Farron. Mile High Sports has received confirmation of the deal. De La Rosa, 38, pitched for the Rockies from 2008-2016, and is the franchise leader in both strikeouts (985) and wins (86). De La Rosa is 86-61 with a 4.35 Earned Run Average in over 1,000 innings pitched for the Rockies. De La Rosa is currently in Arizona participating in extended Spring Training. Following his departure from the club, De La Rosa bounced around between the Arizona Diamondbacks and Chicago Cubs before ultimately returning to the Rockies. 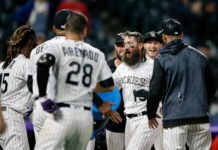 De La Rosa is one of the best starting pitchers in Rockies’ history, but after leaving the Mile High City, he was deployed as a relief pitcher for Arizona and Chicago. De La Rosa owns a career 4.29 ERA in just under 200 innings pitched as a reliever. 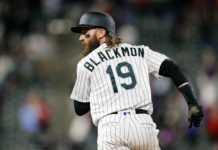 While it is unknown what his impact will be for the Rockies in 2019, it is apparent that Colorado could use some pitching help, both in the starting rotation and out of the bullpen. Beyond Kyle Freeland and German Marquez, Rockies starting pitchers have struggled. The Rockies have yet to win a game this season in which Freeland or Marquez was not the starter. The addition of De La Rosa was a sly move by the Rockies’ front office and is a low cost, potentially high reward signing for the club. Considering his success with the club, especially at Coors Field, De La Rosa could help stabilize Colorado’s pitching moving forward should he crack the big leagues.